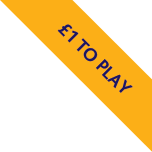 To enter St Luke's Lottery Sheffield you must be aged 16 or over and live in Great Britain. Payment is by Direct Debit or Credit/Debit card. Please choose the number of entries per week (maximum of 10) and your preferred payment method. To comply with Gambling Commission regulations and prevent under age gambling, we must confirm that you are 16 years of age or over to enter our lottery.